Why A Nurse Led “Accident Centre” Defies Common Sense. On 6th August, 2012, Hywel Dda Health Board published the outcome of their 12- week consultation, for the future plans for A&E department at Llanelli’s Prince Philip Hospital. It has been proposed that the department should become a special “accident centre staffed by nurses”. In the latest development of the future of Prince Philip Hospital’s A&E, it has been reported that the proposed plans are now in the preparation stages for further review by independent management consultants, who specialise in NHS services. Llanelli Rural Council has reportedly written to the health board Chief Executive, Mr Trevor Purt, to seek further information over its plans for hospital services. Council Leader, Cllr Bill Thomas, stated: “The Council will need to spend some time carefully analysing the consultation documentation, particularly ‘Technical Document 5 – Emergency and Urgent Care’. This is an important document which purports the notion of Prince Phillip Hospital having a nurse led Local Accident Centre instead of a doctor led A & E service, unlike the other three hospital sites under the umbrella of the health board, where effectively no change to A & E service is being advocated. We fully intend to scrutinise the supporting evidence to ensure there are no gaps or omissions which might prevent us from potentially proceeding with drawing up our own options for A & E services at Prince Phillip Hospital”. This statement comes amid reports revealing how Hywel Dda NHS Trust’s medical negligence payout figures have risen sharply from £1,645,000 in 2010, to £4,682,746 in 2012. This has raised some public concerns as to whether a nurse led accident centre in Llanelli could result in the burden of even more future negligence costs on Hywel Dda NHS Trust, resulting from delays in future emergency treatment. Not only has this emerged during the revelation of medical negligence costs, but during the recent report of how patients needing emergency, or unplanned medical care in the relatively near county of Neath Port Talbot, will no longer be able to receive A&E treatment at Neath Port Talbot Hospital, due to a shortage of doctors. Instead, patients will be will be admitted to neighbouring hospitals, possibly resulting in overcrowding, as four-in-five of the Neath Port Talbot A&E admissions will be transferred to Swansea, with the rest admitted to the Princess of Wales Hospital, in Bridgend. 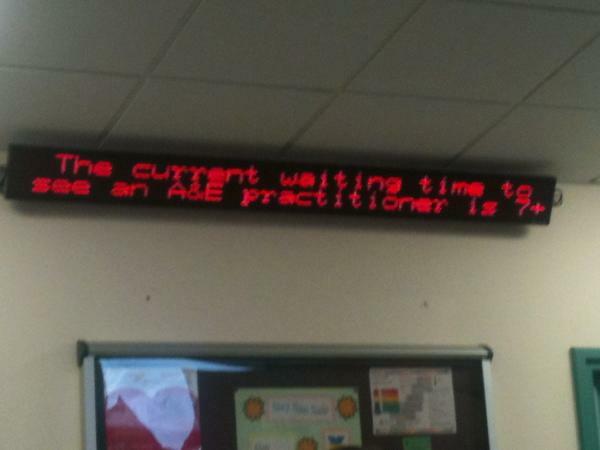 Only one week ago, the waiting time to see an A&E practitioner at Carmarthen General Hospital was 7+ hours. If Prince Philip Hospital were to become only a nurse staffed centre, how much longer might the waiting times to see an A&E doctor be in Carmarthen be, if the influx of what would have been Prince Philip Hospital patients, are taken to Carmarthen? To ensure the Hywel Dda Health Board are in no doubt about the public outcry, Saturday 18th August saw approximately 80 locals combine a rally commemorating the shooting of two workers 101-year demonstration, with a march in support of Llanelli’s Prince Phillip Hospital. Labour AM Keith Davies has stated that the board “must listen to the public”, but also noted that if there is no choice but to downgrade, doctors should be in charge rather than nurses. Ironically, it was not so long ago that we witnessed the NHS portrayed as a good news story, when it featured as part of a grand display in the London 2012 Olympics Opening Ceremony’s showcase of ‘Best of British’. Let us hope that Prince Philip Hospital A&E department will remain as such, and that Hywel Dda Health Board will take note. This entry was posted in NHS and tagged Current Affairs, Healthcare, Journalism, Medical Negligence, News, NHS.